The last few weeks saw some dramatic engagement-related events with some popular celebrity figures, including Halle Berry, Miley Cyrus, and Kelly Osbourne. Since mid-June, Miley Cyrus has been spotted several times both with and WITHOUT her engagement ring (given by actor Liam Hemsworth), prompting Hollywood gawkers to wonder if the engagement goes on and off when the ring does. Meanwhile, Ozzy’s only daughter has taken to designing her own engagement ring…with design inspiration from her famous dad’s earring! However, the clincher goes to Halle Berry, with recent news that she secretly tied the knot with French actor Olivier Martinez in France. The latest news is that former teen star Miley Cyrus is…yes, still engaged to Liam Hemsworth. From the start-of-July news that she went to the Bahamas minus her engagement ring and fiance, to this week’s Good Morning America appearance where she flashed her engagement ring to the cam, it seems as if when Miley wears it, all is well with the couple. Here’s hoping she keeps that bling on her ring finger, then! Kelly, being the apple of her dad Ozzy Osbourne’s eye, couldn’t have picked a more fitting gesture when she patterned the design of her own engagement ring after an earring of her dad’s she remembers from childhood. 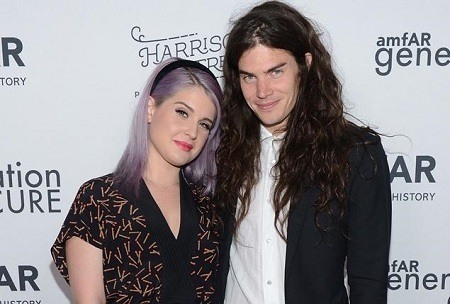 The 28-year old purple haired Kelly officially got engaged to vegan chef Matthew Mosshart in a recent trip to the Caribbean. Wedding plans are still under wraps, but we’re betting the details will be anything but traditional for these two! Oscar-winning actress Halle Berry is rumored to have gotten married in France this week to fiance Olivier Martinez in a cozy and intimate wedding. It will be the third time to get married for the 46-year old actress, and the first time for the 47-year old French actor. E!News showed photos of the couple in a white sports car, which purportedly served as the newlyweds’ vehicle, while pictures from People.com revealed a white tent connected to the Chateau des Conde in Vallery, France where guests passed through. The chateau has a church on its grounds…so it looks like we’re raising a toast to Mr and Mrs Martinez for a happy life together!